I recently got an email from the largest Video Game retail chain in the UK. I should hope not, for I had an experience that still to this day (some 2 months later) haunts me, let me tell you about it. I’ve changed the name of the store, though let’s be honest if you’re reading a blog primarily about boxed old video games you already know which company I’m referring to! I was thrilled, I had recently moved from Norwich to Kent and was only 50 minutes on the train from there. Normally I saw these things advertised but was unable to go due to the long distance away. Now, I had never been there before but knew where “The Westfield centre” was in London, I passed it every day on my commute to London. Every time we stop at Stratford International the train itself declares “change here for the Westfield Shopping centre”. And so it was decided I would meet the game designer that I had always admired! From his Boktai and Lunar Knight Games, to the Metal Gears and Zone of The Enders, when it came to Kojima there wasn’t much I didn’t love! It was going to be a long wait till 22nd! The week before his magical visit, I saw on Twitter that it was now a Midnight launch. Not great for someone who wanted to train to and from the event, especially when their last train home is at midnight. I phoned the store, what would I do after the event if my next train home was 7am, could I spend 6 hours in the store waiting or would I have to roam an empty shopping centre waiting. “Yes he is coming, and after you can just sit in a cafe or something if you want the store will close once he leaves”. It didn’t sound like the best night to be honest, but that didn’t put me off. One thing he did say stuck in my mind though “We’re expecting a lot of people, if you’re not here by 6, I doubt you’ll get in”. 6pm!? I was going to get there after work around 9ish, but that didn’t put me off. I took the Thursday off from work, and decided I would drive there instead. This way I could just drive home after the signing, maybe even sneak in a bit of Metal Gear Playing when I got home at 4am! The 21st came, and all day I gathered together all the things the great man may be impressed with; my rare MGS1 art book I picked up from Japan. The holographic MGR poster I won at EuroGamer Expo, and of course MGS3 Collectors edition (My favourite MGS Game!) I tweeted at [NAME OF THE COMPANY]and Hideo Kojima excitedly (even getting some replies!) packed a bag of essentials (chocolate, coffee, PS Vita with MGS2 on it!) and set off at 1pm. It was just under a 2 hour drive from my home, so I’d get there at 3pm – plenty of time to get a good place in the queue and be one of the lucky 200 who were guaranteed to meet him. The drive was fine, listening to the Metal Gear Soundtracks (see I said I was a fan), and got the Westfield Shopping Centre at just gone 3:30pm. I walk jogged to the store (you know that weird walking quickly thing when you’re excited but are trying to not show it!) I was a little surprised by what I saw at the store to be honest. I was the first one there! No men dressed as Cyborg Ninjas or hiding in Boxes. Never mind, there’s no harm in being the first. I went into the store to get my pre order (as I had been told that If I hadn’t pre-ordered it I couldn’t queue). This is when the nightmare started. “So where should I wait for the midnight opening I asked” thinking they would say “wow you’re keen, you’re here 9 hours early!” They didn’t say this, the lovely manager behind the counter said “What Midnight opening? !” He wasn’t being humorous, he genuinely had no idea! “With Mr Kojima” I said probably sounding a little more panicked than was needed at the time “He’s signing games, I drove here especially”! “No mate, that’s the other Westfield store”. I looked confused, “Ok which floor is that on then?” thinking that there were two stores at the Westfield Shopping centre in the same way there used to be 4 in Norwich! “Take the central line till the end, then change” gesturing with his hands as if he was directing me around the corner, rather than to the other side of London! 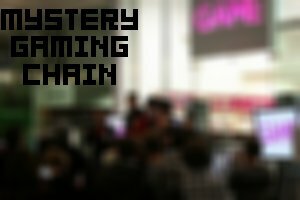 "[NAME OF THE COMPANY]Westfield ‏@[NAME OF THE COMPANY]_WestfieldOver 100 people have already secured their place in the queue! Get here now for your chance to join the lucky few! #metalgearwestfield"
According to the Sat Nav I was still 20 odd minutes away, had no idea where I was going or how long it would take, I didn’t even know if I could park there. With regret I changed my destination to “home” on the satnav. That was over a 2 hour drive but at least I knew where I was going. I got home just after 20:30, nearly 8 hours of driving, petrol and a congestion charge – for nothing. To say I was gutted was an understatement. Anyway, this post has been as long and epic as my journey. Someone who made it there had a worse time than me! Spoiler warning though, that author does mention which games shop was doing the event. ""Kojima briefly shares room with cold, annoyed fans at MYSTERY COMPANY's Metal Gear Rising launch event. The fans were in freezing temperatures for three hours, badgered by Westfield security and the Q&A consisted of three questions" adding that it was "a piss-poor event". Maybe I didn't miss out on all that much anyway!